With its unique look, the Brown Cord Fantasy Short Sword makes an eye-catching addition to any weapons collection. This decorative sword draws upon various styles to create a design that will stand out from the crowd. 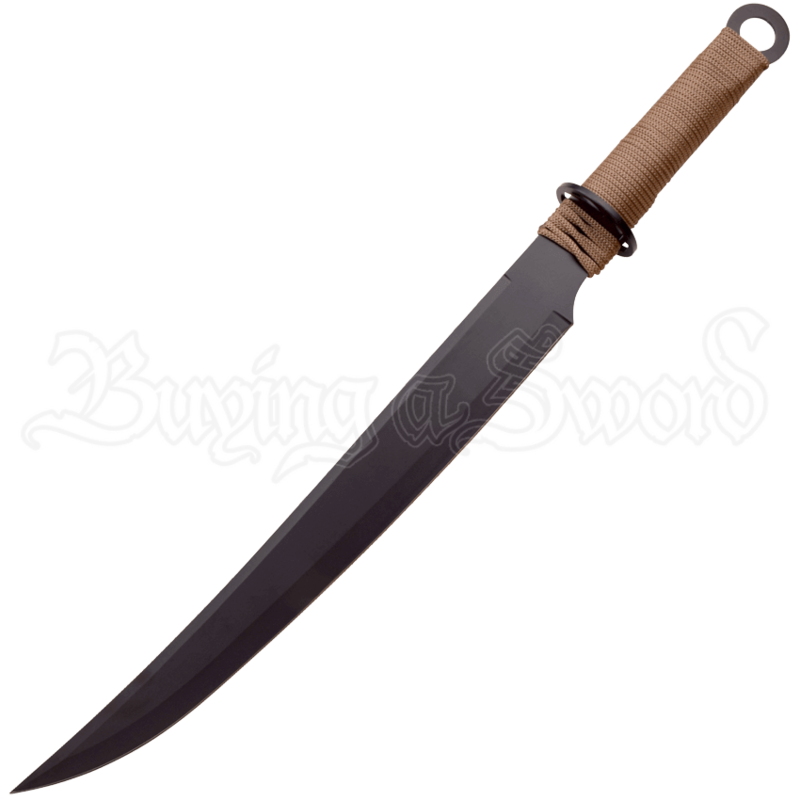 The stainless steel sword features a black finish that looks great with the brown cord that wraps the handle. A round guard fits in among the cord near where the handle transitions to the blade. The fantasy blade itself has a straight back, and the handle ends with a ring to finish the design. 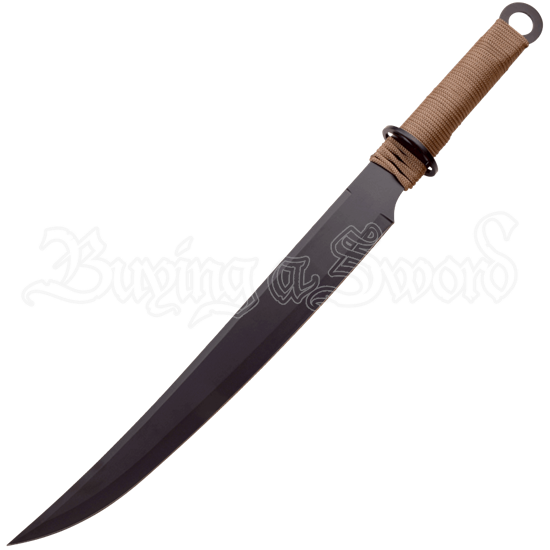 This fantasy sword comes with a black nylon sheath that makes it easy to carry or store safely.